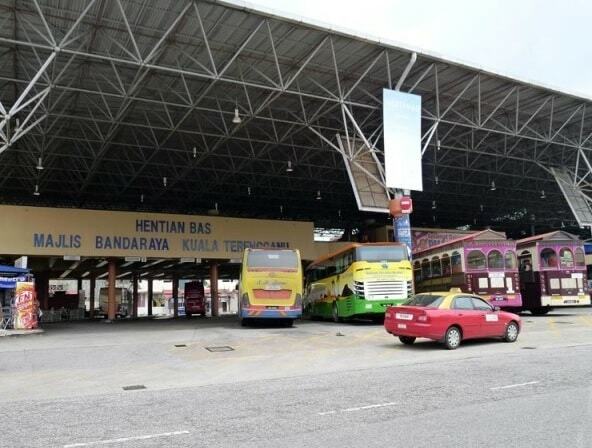 Kuala Terengganu bus terminal is also known as Hentian Bas MPKT. Kuala Terengganu is one of the popular tourist bus routes because it's the gateway to famous tourist hotspot Perhentian Island and Redang Island. The terminal is strategically located in the center of the city. To get there the best way is by intercity bus or taxis. It is located at Jalan Sultan Zainal Abidin, which is near the most common tourist attraction and landmark in Kuala Terengganu namely Lembaga Tabung Haji. It is at the heart of the city. Thus, it is easy to locate since all social amenities surround it. Upon arrival at Kuala Terengganu main bus terminal, MBKT (Masjid Perbandaran Kuala Terengganu), travellers and tourists can easily catch local taxi to jetty which provides ferry service to Perhentian Island and Redang Island. Transnasional and Plusliner are the two famous brands serving bus from Kuala Lumpur to Kuala Terengganu. Locals favour the brands because of bus punctuality and having more frequency. Another bus operator with quality bus service is Kesatuan Express who provides daily trip from KL to Kuala Terengganu. The bus fare for bus from KL to Kuala Terengganu is around RM 40.00 to RM 43.00. Duration required for bus from Kuala Lumpur to Kuala Terenganu takes about six to seven hours depending on traffic condition. From Singapore it takes by bus 9.5 hours, Johor Bharu it takes 9 hours and from Penang the trip takes 9 hours. The journey include 2 rest stops or more along the journey for foods, refreshments and toilet stops. The most comfortable coaches (VIP) have 24-32 seats in a 2-1 seating arrangement. The seats are spacious with plenty of leg room. There are also 36-40 seater coaches 4 seats abreast that would as well get you to Terengganu in best comfort. If you are travelling overnight, bring some warm clothing (Jacket/ Sweater). It can be quite cool. Soft or inflatable pillow can help you sleep more comfortably. Mahligai Express is the only service provider offering bus from KL to Kuala Besut on daily basis. However, Mahligai Express only offers one daily schedule at 9.30 pm evening, with departure from TBS. For travelers who are visiting Perhentian Island, you may opt for Mahligai Express to save the hassle of transferring taxi from Kuala Terengganu main bus terminal to Kuala Besut Jetty. Online booking for bus from KL to Kuala Terengganu in reputable at this website by BusOnlineTicket. It's easy and convenient. The departure point for coaches going to Kuala Terengganu in Kuala Lumpur is at TBS, Terminal Bersepadu Selatan. Both Transnasional and Plusliner are departing from Putra bus terminal (Hentian Putra). TBS is located just south of the city center. The closest LRT station is �Bandar Tasik Selatan� on the Ampang Line. 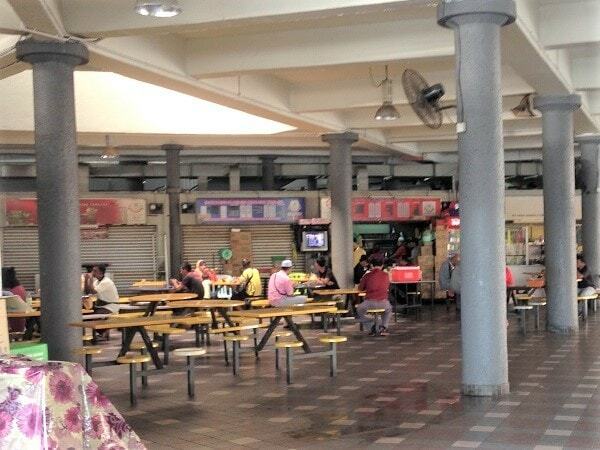 Kesatuan Express�s departure point was at Pudu Sentral bus terminal before closure of Pudu Sentral. Now Kesatuan Express had moved their departure to TBS. Transnasional runs 3 daily services between Singapore and Kuala Terengganu. Transnasional is the only coach operator that have a permit from Singapore Transport Authority and Malaysia Authority to operate express services between Singapore and Kuala Terengganu / Kota Bahru (36 seater). Transnasional Express ticket office and departure point located at junction of Lavender Street and Kallang Bahru roads. 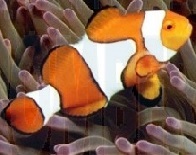 Tel : +65-62947034 / 5). If you are unable to get any seats, you can try Transnasional coach which depart from Singapore to Kota Bahru and ask to drop off at Kuala Terengganu or Jerteh if you heading for Perhentian island which is the nearest bus stop to Kuala Besut jetty (15 min journey by taxi). There are tour company run coaches services from Golden Mile Complex at Beach Road but prices are much higher than Transnasional and passengers need to change to a different bus at the causeway or second link and passengers have to bring own luggage through Malaysia customs and immigration. Alternatively get a seat from Johor Bharu (Larkin Station) to Kuala Terengganu. Coaches that operate from Larkin station e.g. Transnasional, Konsotium Express,KKKL Express, Cepat Express, Adik Beradik etc. Konsotium, Adik Beradik, KKKL offer comfortable 2-1 (VIP) seating arrangement.